The Communities of Practice (CoP) Meetings are scheduled from 9:45 a.m. - 12:00 p.m. The next Expanded Learning Summit at the STEM Factory is scheduled for Tuesday, October 22, 2019. Stay tuned for additional details. The 2018-29 STEM Recognition Awards are now open! Click here to nominate an Expanded Learning program staff person. 2017-18 STEM Recognition Awards – Congratulations to our Winners! This award recognizes a Site Coordinator (SC) and a school day partner who demonstrate intentional efforts to strengthen the alignment between the expanded learning program and the school’s STEM curriculum. STEM Champion Award – Gabriel, Abrazar Inc. This award recognizes an Expanded Learning staff person who has been positively impacted by participating in the Orange County STEM Hub offerings. The STEM Advocate Award recognizes those programs/districts/grantees that have prioritized professional learning/development as evident by the participation of their staff in the varying Orange County STEM Hub offerings during the current program year. The Raising STEM Star Award recognizes those individuals who demonstrate consistent and active participation in the Orange County STEM Hub activities in the current program year. This award will include a self-reflection for the Site Coordinator to understand the impact their participation has had on their site/programs. 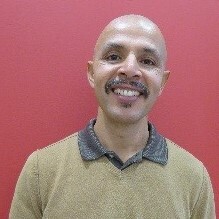 STEM Advocates: Abrazar Inc. | Boys & Girls Club of Garden Grove | YMCA of Orange and our STEM Star, Oscar, a Site Coordinator from Abrazar Inc. for his continued dedication to promoting STEM with his students and staff. The purpose of the California Department of Education (CDE) Expanded Learning Division's POD: STEM is to further the work of the California Afterschool Network and the POD:STEM2 funders by developing models of quality STEM in expanded learning programs. This pilot program is designed to increase the quantity and quality of STEM learning opportunities available to children and youth participating in expanded learning programs, and to build the confidence and competence of staff facilitating STEM learning in expanded learning settings. An additional focus of the pilot, will be to eventually promote the extension of these opportunities statewide so that all expanded learning programs in California would have the opportunity and resources to engage in quality STEM learning. The Orange County Power of Discovery:STEM will be accomplished through the establishment of STEM Hubs (formerly identified as RISP) and a regionally-based system of support that will serve as a mechanism for developing the capacity of local school districts and community organizations. As a result, expanded learning programs will be able to provide more quality STEM learning opportunities to young people, build staff efficiency, and increase program capacity to facilitate STEM learning activities in expanded learning programs. In 2010, key education and philanthropic leaders in California developed learning strategies aimed at integrating quality science, technology, engineering, and mathematics (STEM) into expanded learning programs. Through the development of the Regional Innovation Support Providers (RISP) network, the expansive initiative aims to build collaborative and effective partnerships between schools and after school organizations through the mobilization of a broad coalition of community partners including higher education and business and industry with STEM expertise and resources to engage California's students in the hands-on exploration and practice of STEM. 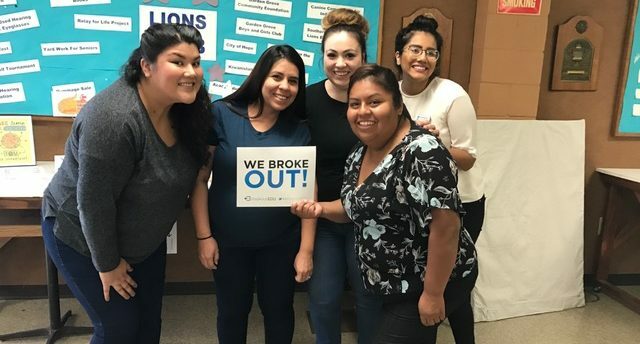 The OC STEM Initiative was one of the five regional partnerships in California providing critical support for STEM learning and teaching in afterschool, summer and other out-of-school time programs through the Power of Discover:STEM2 statewide initiative. The POD:STEM2 was supported by the Californians Dedicated to Education Foundation (CDEF), the California After School Network (CAN), the California STEM Learning Network (CSLNet), and the following funders: the S.D. Bechtel, Jr. Foundation, the Noyce Foundation, and the Samueli Foundation. Why STEM in Expanded Learning? According to the U.S Department of Commerce Economics and Statistics Administration (July 2014), STEM jobs will have grown 17% in comparison to non-STEM jobs at 9.8% from 2008 - 2018. The structure of Expanded Learning (out-of-school time) Programs allows for students to be exposed to additional hands-on, minds-on activities that promote 21st century skill building through meaningful, real-world projects. This avenue encourages strong alignment with the traditional school day and welcomes the partnership with school day educators and expanded learning programs to build on and provide these opportunities. With the high demand and growth of STEM jobs, particularly in Orange County, these programs can provide students with the opportunities for career exposure and allow them to have the needed skill sets to expand on for the jobs of tomorrow. STEM Learning allows for intentional staff facilitation of the specific 21st century skills (skill sets that will be needed for successful college and career pathways): Communication, Collaboration, Critical Thinking, Creativity, and Perseverance. STEM Learning can fit into each of the Point of Service Quality Standards for Expanded Learning, so no matter which standard your site is focusing on for the Continuous Quality Improvement Process (CQI2), STEM can fit into your program! "A Framework for Quality STEM Learning in Expanded Learning Programs", a document from the California AfterSchool Network. For an interesting article on Youth Voice and a strong example of a hands-on activity, check out this article, "After-school Science Begins With a Bounce"
Are you looking for ways to bring more youth voice into your programs? Check out these 5 Strategies! As part of our practice to build a broad coalition of community partners we developed a Steering Committee for the work of the RISP, now the STEM Hub. Our Steering Committee is comprised of key leaders within Out-of-School Time learning programs within our region. These leaders come together four times a year to meet and discuss the needs of the field overall and the direction of the STEM Hub work. We appreciate their expertise and support they provide our activities throughout the year. Are you looking for Program Support in STEM? Are you starting a new STEM component to your Expanded Learning Program? Do you have new front line staff who need additional support? Are you looking for new ideas? Are you interested in having your program visited by a member of our STEM Technical Assistance Team? If you answered "Yes" to any of the questions above, our STEM Technical Assistance Team can come out and conduct a friendly site visit that would provide support, ideas, and share additional resources. Are you looking for a more in-depth look into your STEM Program? Many of our team members are Dimensions of Success (DoS) observers and can conduct a DoS Observation to provide you specific areas of need to direct your focus. To learn more visit the DoS Tool website. Programs will receive an email within two weeks of completing the form to discuss next steps. 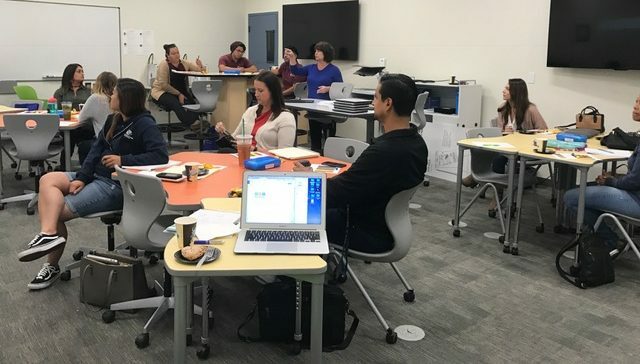 The STEM Technical Assistance Team (STAT) started at the beginning of 2015 with the task of supporting Orange County’s Expanded Learning Programs participating in the Communities of Practice and other STEM Hub activities. The team continues to meet on a monthly basis to discuss the needs of the community. 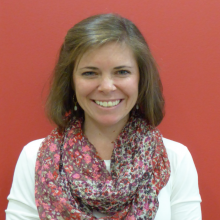 This team has put together trainings and produced resources to be used to support programs. The team was started by CynDee Zandes of Entrusted Legacy and mentored by Gyla Bell of the Tiger Woods Foundation. STEM refers to Science, Technology, Engineering and Mathematics. STEM is a vehicle to reinforce 21st Century Skills, support content and provide students with hands-on, minds-on learning experiences. What is an Expanded Learning Program? Why is STEM a need in Expanded Learning Programs? Where can I find STEM related resources/projects? I am interested in STEM Professional Development; do you offer anything like that? Yes, we offer Professional Development and Professional Learning opportunities for Expanded Learning staff throughout the year. For more information about the type of Professional Learning and Development opportunities, check out our Professional Learning tab. To register for upcoming opportunities, visit our Upcoming Events tab. 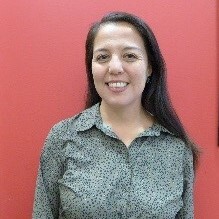 I am interested in connecting with peers in Orange County doing similar work in STEM; do you know of a community I can connect with? Yes, we conduct Communities of Practice (CoP) Meetings throughout the year to allow for program staff to come together to learn from each other and share promising practices, areas of need and additional resources. To find out more about our Communities of Practice Meetings, check out our Professional Learning tab. Where can I find STEM specific funding resources for my Expanded Learning Programs? Where can I find new STEM resources to challenge staff and students? How can I sign up for updated information, including your newsletter? We have a Quarterly Newsletter, sign up here to join our mailing list. The STEM Factory events are large scale professional development days that bring together the Expanded Learning Program Directors, Managers, Site Level Supervisors and Frontline Staff. We have combined efforts with the System of Support for Expanded Learning to host Expanded Learning Summits at the STEM Factory events once a year, in the fall. These trainings will provide relevant breakout sessions for Expanded Learning Staff; including STEM specific trainings. The attendees found the day to be of value, taking away many key pieces from the day. They are excited to try to implement the concepts and activities they learned throughout the morning. Thank you to our host, Boys & Girls Club of Garden Grove. We are looking forward to hosting our next STEM Factory on April 7, 2017. 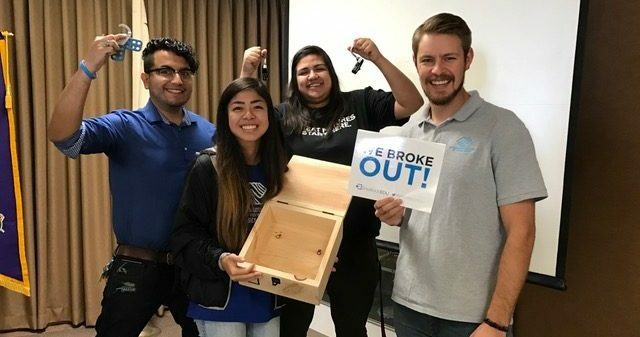 This was presented by the staff at the Boys & Girls Club of Garden Grove to highlight the work they were able to do with their middle school students in coding. Highlighting many websites, including Google's CS First. David Tong, Director, TGR EDU: Create, presented two math sessions. One on PBL and Math, giving frontline staff pracitical applications for concepts like volume and surface area, ratios and scale. The second session was on Math and the Common Core that focused on hands-on activities and various example problems that reflected the 8 Mathematical Practices. The closing session was by Bedtime Math, a free program for afterschool programs. They have some fun ways to bring math into the afterschool program. They will even pay to ship you the materials to conduct the activities! 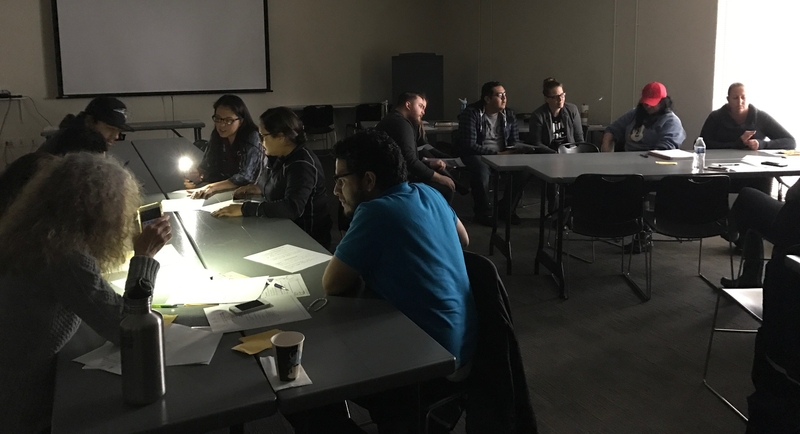 These sessions reinforced the focus of the STEM Factory for both frontline staff and supervisors; providing hands-on learning opportunities to support the alignment piece as well as the practical application of lessons the next day. 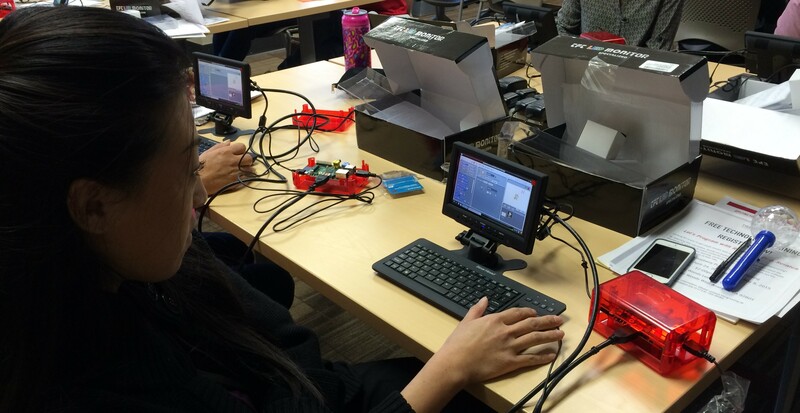 In November 2015 over 120 out-of-school time educators attended OC STEM Factory events. Our Supervisors Training was focused on Bridging the Gap Between In and Out of School Time. 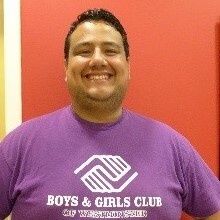 We had a panel facilitated by Robert Santana, Chief Executive Officer at the Boys & Girls Club of Santa Ana. Panelists included Dr. Sue Johnson, Superintendent of Savanna School District and Gyla Bell, Senior Director of Programs at Tiger Woods Learning Center; Janet Yamaguchi, Vice President of Education at Discovery Cube and Dr. Jennifer Bourgeois, Coordinator of Student Assessment and Educational Measurement with Orange Unified School District; and Dania Molina, a Site Supervisor with the Boys & Girls Club of Garden Grove. The big take-a-way from the panel was do not be afraid to ASK, the worst they can say is “no”. Attendees were able to discuss these ideas further after the panel in round tables and share out with others their take-a-ways and next steps. Each attendee named a teacher or administrator they would reach out to the following week to start to build a partnership to strengthen in-school and out-of-school time. The day ended with a Motivational Moment with Joe Adams, President of the Discovery Cube. It was a highly valuable experience for the attendees. What a great story! The Saturday training for Frontline Staff was also well received. Frontline staff were able to attend two 70 minute sessions, one on the Engineering Design Process and one on Inquiry Based Learning. Nino Polizzi from Rocket Science Tutors led the staff through a hands-on activity with the Engineering Design Process building catapults. Andrea M. Guillaume, Ph.D. from California State University, Fullerton lead the staff through Leading Inquiry Based Learning with multiple hands on activities. You can find resources from both of these sessions at the afterschool.ocstem.org website. There was a small group of supervisors who also attended a session led by Gerardo Martinez on Creating Learning Spaces in the informal environment and provided great tips to recreate our space! The staff also had the opportunity to win raffle prizes of Solar Car Kits, Maker Box Challenges and Raspberry Pi’s. In addition to the STEM Factory days, Orange County STEM Hub provides ongoing Professional Development Opportunities throughout the year! Check out the STEM Implementation Trainings under the "STEM Implementation Training Tab" in the menu to the right of this page. Are you interested in attending our next Professional Development day? The STEM Series Trainings purpose is to increase the staff’s comfort level to implement quality STEM with their students. This year's series include PBL & STEM which is in it's second year, and our NGSS in Expanded Learning series. The Orange County STEM Hub has developed a Lending Library. This allows Expanded Learning programs to have access to shared resources and the ability to introduce students to a variety of STEM opportunities. The Hub has created these kits and have included additional resources to accompany them (i.e. implementation guide, additional resources/connections, and additional extension activities). Programs who have attended a training on the specific kit are eligible to check them out through the Lending Library system. Access to the system is only made available after the training. Many of these kits are also tied to career exploration and STEM in the real world. During the Summer the Orange County STEM Hub provided program specific trainings for various Expanded Learning programs. One training focused on level setting with STEM and another one was specific to Engineering! Staff left with strategies and ideas to incorporate within their own programs! For more ideas, check out the STEM Hub Created Resources Tab! 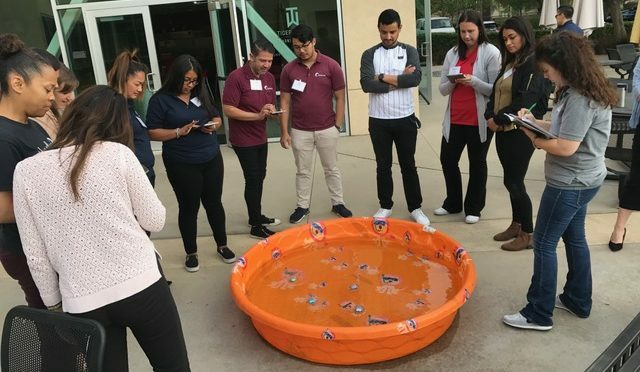 In February, the Orange County STEM Hub supported the YMCA of Orange’s Professional Development Day by providing a two hour STEM Training for their frontline staff and supervisors. The training was focused on intentional strategies for STEM Implementation by using materials from the STEM Hub Lending Library to reinforce skills for students. It was a great way to spend a rainy Friday afternoon! 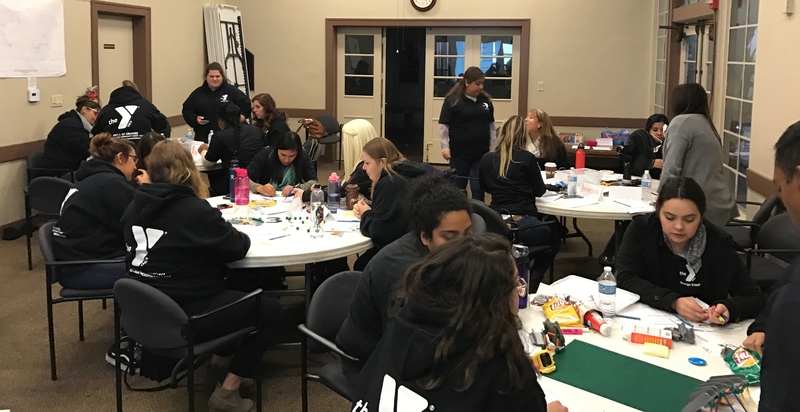 In December, Beth Payne from Girls Inc. of Orange County presented a STEM Implementation Series Training on littleBits for the Orange County STEM Hub. After completing the training, attendees were able to check out the littleBits through the STEM Hub’s Lending Library. Anaheim Achieves used the kits for four weeks to kick off 2017! One of the challenges posed to the students were to use the bits to create a game. This game pictured was created by a group of second and third graders who used their bits to launch small pieces of paper into their canister. Check out the Upcoming Events tab for information on our next STEM Series. If you would like to request a specific training for your program staff, please contact shill@ocde.us for further details and availability. What are the characteristics of a "quality" STEM program in after school or summer learning? This webinar explores that concept of "quality" and provides examples of strategies for after school and summer organizations. This webinar explores the similarities and differences between instructional and investigative science. Learn about recent research on formal and informal school day alignment. Discover characteristics of effective indoor and outdoor teaching environments to help ensure that both the learner and the leader are successful. Topics include (1) positioning the tables and chairs/desks, (2) gathering for an outdoor discussion, (3) managing the materials, and (4) using attention grabbers. Tools to evaluate your STEM program and how to develop your program to move it forward with fidelity and consistency. Learn how to easily setup and conduct science fair projects for students of all ages in your afterschool program. You will learn strategies and tips in setting up an effective lesson for your staff members. Learn easy to do projects to build confidence and excitement for your students. Best of all, you will learn to how obtain and utilize very cheap materials to conduct meaningful projects that are "hands-on" and "minds-on" for all students. Create engaging videos and presentations using web-based tools, Animoto and Prezi. Develop Animoto movies to activate prior knowledge in the classroom or simply to relive memorable fieldtrips and events. With Prezi, you can add fluidity and powerful visuals inside a Prezi presentation to facilitate learning. Making and Tinkering are being introduced as a new approach to learning. It is all about experiencing something in a new way; questioning what is learned from the experience, gaining a sense of profound thinking, and walking away with a new set of skills to be applied to various situations and experiences. In addition, making and tinkering promote being successful not in creating, but in learning. It allows individuals to give themselves permission to try new things, make mistakes, and never be wrong. 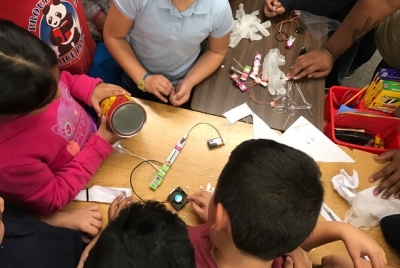 In addition to addressing the value of making and tinkering, this webinar will provide techniques and suggestions on how to facilitate the fundamentals which include confidence, capability, and overall learning through tinkering and making in order to implement these practices in the classroom. Maker spaces invite hands-on construction and tinkering, and most share universal characteristics, such as opportunities to make mistakes and learn from them, the presence of facilitators, and an assortment of materials that anyone can use to be creative and inventive. Facilitation engages people in a modality that encourages persistence, collaborative problem-solving, and design thinking. These spaces provide enough mentoring to enable and develop new strengths in problem solving and design thinking. This webinar will help guide and provide strategies for educators in the process of facilitation, while encouraging resourcefulness and assisting them to explore ways to overcome the barrier between making their students passive learners, to active thinkers. It will also provide some valuable resources so that educators can begin utilizing making and tinkering right away! The real value is not in teaching a specific skill, but in helping others to learn how to tackle a problem and add to their skill sets. The essence of facilitating is guidance; guiding others to pursue their most highest potential, and to never let them feel as though they cannot do anything, but can do anything and everything they wish to accomplish. The Communities of Practice (CoP) Meetings exist to promote cross-collaboration between Expanded Learning Programs who provide STEM programming for their students. The meeting is an opportunity for program staff to come together, in a Professional Learning environment, to ask questions of each other, provide promising practices, and network together to create a solution to a need. These meetings are developed by the group, for the group. Many of our participants are site level leads, as well as area/program managers. Each meeting could look different, depending on the topic of conversation and the desired outcomes. Meeting locations rotate throughout the region to highlight programs and possible resources available. September 15, 2017 Garden Grove, CA. The focus of this meeting was on team building and setting our goals/focus' for the 2017-18 program year! 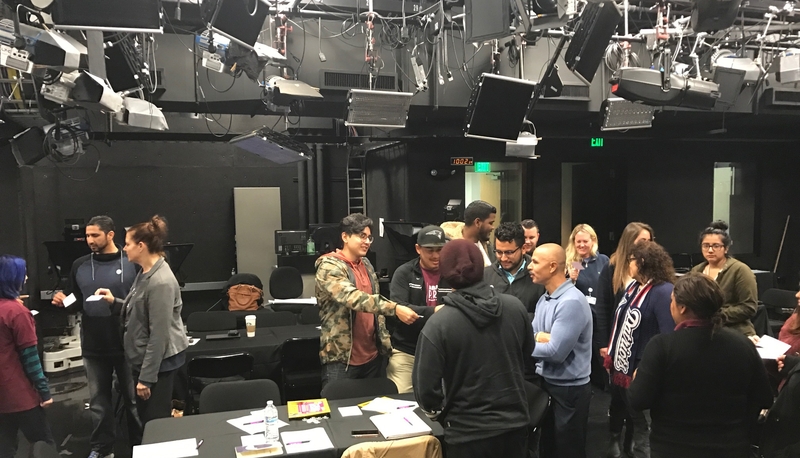 December 1, 2017 Santa Ana, CA The What and Why of STEM During this meeting, participants drafted various resources to support professional development and coaching for program staff. 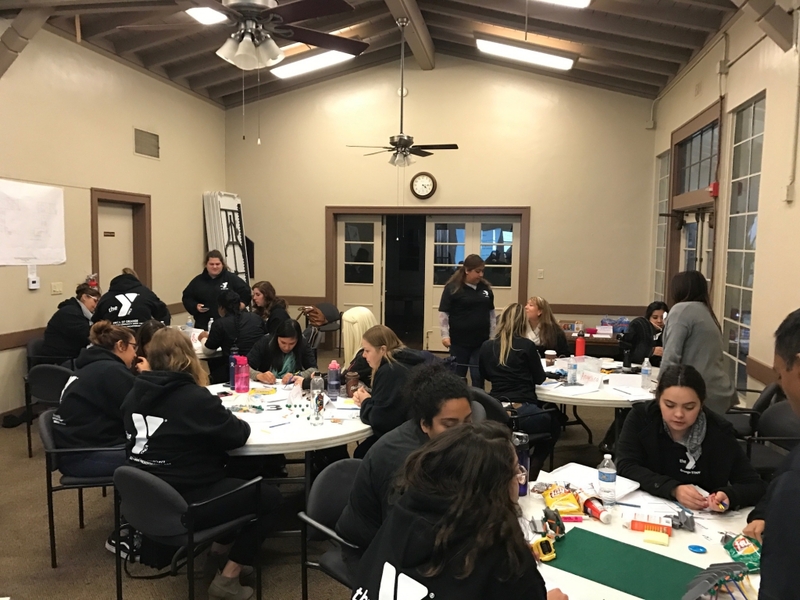 January 19, 2018 Westminster, CA Coaching Staff & Reviewing Shared Resources Participants reviewed and discussed their definition and understanding of coaching for their programs, and what that means for their own position. Then they reviewed the resources they created and provided feedback to help finalize them. Join us for the Communities of Practice Celebration! Would you like to participate in our Communities of Practice? These resources were developed by members of the Communities of Practice based on the needs and discussions of the community. This resource, STEM Family Night, was created by members of the STEM Hub’s Communities of Practice. After discussions of the intimidation of STEM for students, staff and parents; the group determined it would be beneficial for all programs to have a tool kit for a STEM focused Family Night. These nights are designed to ease the fear or intimidation of parents when doing STEM activities and build confidence of students by providing a quality hands-on activity for both to engage with each other. This resource was created to provide additional supports to Expanded Learning program staff to help students make sense of their learning. Staff have an opportunity to debrief and reflect with students to reinforce the concepts and objectives, allowing an informal assessment to take place. This document was created through a Communities of Practice Meeting. These strategies are to support students’ abilities to asking questions and think critically, about their own learning. Do you need a way to showcase what your students are doing to teachers, administrators and other school site personnel? A program newsletter is a great way to do that. Here is a template for your use; please replace the images with pictures of your own projects, students, and highlights that will draw the attention of your site. The template provides you with content sharing ideas that can help you make stronger connections to the school day. Are you wondering how your last STEM lesson went? Were your students engaged? Were you prepared for your project? We recommend after your lesson that you spend 5 - 10 minutes reflecting on how the learning experience was for your students and yourself. If you are a participating member of the Communities of Practice, please click on the link to complete an Online Strengths/Needs Assessment Form. This will help us create more focused professional learning, including my not limited to site visits, discussion topics and additional resources. The following STEM Projects were developed in collaboration with Think Together through the AmeriCorps Maker program.